Mining Corporation “Nevsun” approved budget for the completion of precious metals exploration at Bor. The explorations will be completed by September 2017, and afterwards, the opening of the mine is planned. 113 km long boreholes are planned for the next year. Canadian mining company “Nevsun”, which recently became the owner of exploration rights of the Cukaru peki ore deposit, near Bor, potentially one of the richest copper and gold mining sites in the world, is planning to finalize geological exploration of the area by the end of next year, upon which the preparation for the opening of the mine will start – reports “Novosti”. According to information from our paper, in addition to a budget of 60 million dollars, “Nevsun” intends to drill 113km of boreholes by September 2017, since copper and gold are at great depths, following development of Feasibility Study and Study related to opening of the mine, which, as it is now completely certain, will be exploited by underground exploitation method. 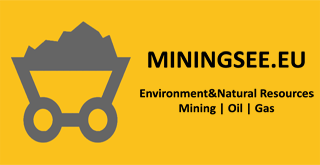 In parallel, “Nevsun” is planning to do all ancillary works such as obtaining necessary permits for the mine opening, land acquisition, Environmental Impact Assessment Study, ore exploitation and processing method from the sites in the vicinity of Bor. In particular, in the exploration of the Upper Zone of Cukaru peki site, “Nevsun” will invest up to USD 40 million and drill 50,000 meters of boreholes. In the Lower Zone of the deposit, together with the partner American mining corporation “Freeport Mekmoran”, “Nevsun” will invest additional USD 20 million, with the aim of drilling additional 67,000 meters of boreholes, and thus definitely put an end to geological exploration of the area. The latest researches show that in one borehole at a depth of 179 meters, was found a layer of 84 meters, containing 10.75 percent of copper and 10.86 grams of gold per ton! The result of the second borehole is even more fantastic where in one 46 meters thick ore layer, a deposit of unbelievable 15.85 percent of copper, and even 16.77 grams per ton of gold was found! For example, in the mines within RTB “Bor” ore with the maximum of 0.4 percent of copper is currently being exploited! The reference data show that the deposits with one percent of copper, if followed by the proper amounts of ore are considered to be exceptionally profitable! However, what kind of wealth it is, without a doubt, shows the fact that for the past 110 years of mining in Bor five million tons of copper and nearly 160 tons of gold have been obtained. Initial resources of 1.7 million tons of copper and 98 tons of gold were estimated in the Cukaru peki ore deposit. At a depth of 558 to 559 meters from the ground level the incredible resource of 25.7 percent of copper and 50.3 grams per ton of gold was revealed here, which is the richest borehole that has been found on the planet so far.